And what an use ! Now, it turns, turns, turns at the rate of the ceaseless go-and-comes of the imagination of both sprites, who fuss to put every day their ideas in bottle ! Sometimes, when their heart pushes them there, they choose one, and they work hard to give life to it ! Living shows, full of dreams and laugh. Disturbing shows, delivering the secrets of the forgotten magic peoples. 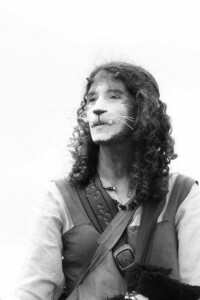 Playfull shows, in which children and adults are invited to participate ! Created in 2012, the Company Dro Lig proposes to explore the legends and the myths of the whole world by adding it its own touch of poetry and musing. Every show is conceived with the will of establishing a contact and a very particular link with the public : it is not only the moment of the meeting that matters, but also the dream which will remain engraved in the imagination of the spectators much later. 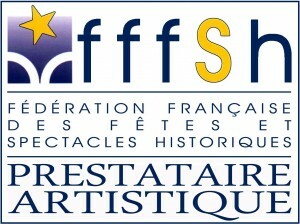 After its performances in the traid fair Fous d’Histoire 2012 in Pontoise, the Company Dro Lig became Artistic Provider “Encouragement” of the French Federation of the Festivals and Historic Shows.